Five Corners is a Sydney based privately owned Australian CRO (Clinical Research Organisation). We provide contract services to manufacturers of medical technologies wishing to perform clinical research in Australia and New Zealand. We collaborate with international CROs, who do not have a presence in Australia or New Zealand, with clinical research services. 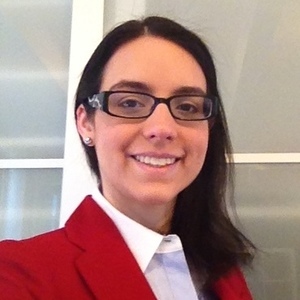 We also provide Regulatory Consulting Services assisting clients in navigating local regulatory pathways. In addition, our other services include; Field Clinical Engineering, Quality Management System Development, Implementation and Auditing, Manuscript Development, Distributor Profiling, Reimbursement Consulting and Clinical Training. 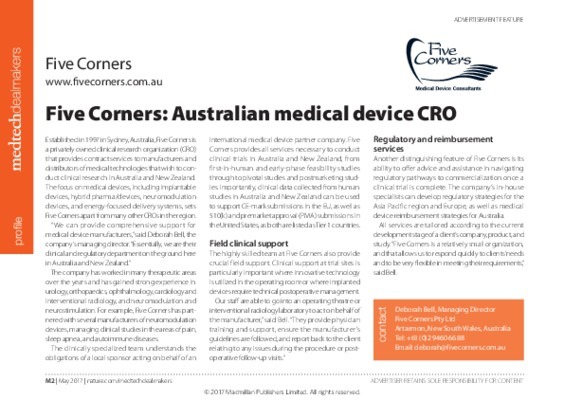 Established over 20 years ago, the clinically specialised team at Five Corners has extensive experience in clinical research and understands the obligations a Local Sponsor has in acting on behalf of an international medical device partner company. Our services are tailored to our clients depending on the current stage of development of the product and the study. Being a boutique clinical research organisation allows flexibility in our approach to meeting the needs of our clients. The Five Corners team is dedicated to providing highly specialised services to our clients within Australia and New Zealand, ensuring that they, and we, undertake activities in line with the ever increasing government and industry standards.